5 Great Things to do in India! If you're planning a trip around the amazing Indian sub continent as part of your Goa Conference experience, we will be adding to an evolving list of great places to visit. We'd also love to hear from you if you have a recommendation of somewhere on or off the tourist track! One of the most recognised buildings earth, the Taj Mahal is the ultimate testament to love. Built in the 17th century by over 20,000 workmen and artists it commemorates Mumtaz Mahal, the favourite wife of Emperor Shah Jahan. The Taj Mahal is built of white marble and decorated in incredible detail with precious and semi precious stones such as jade, lapis lazuli, pearls and diamonds. The best time of day to see the Taj Mahal and to avoid the crowds is sunrise or sunset. An excellent viewing spot is from across the Yamuna River as is pictured here. Another massive construction project by the Emperor Shah Jahan, the Red Fort was the political centre of the Mughal state and home to the emperors for over 200 years. In 1747 during the invasion of the Mughal Empire by Iranian Emperor Nadir Shah, the fort was robbed of its artwork and jewels. In 2007 the fort was designated a Unesco World Heritage Site and is the centre of India's Independence Day celebrations. Formally know as Sri Harmandir Sahib, the abode of God, the Golden Temple at Amritsar is one of India's most important buildings and a revered site in the Sikh religion. Over 100,000 people visit the shrine each day, so it gets pretty busy. The temple stands as a symbol of brotherhood and equality, referenced principally in the four entrances from four directions which symbolise the fact that all peoples are welcome. Shimla is the capital of Himachal Pradesh and is a very popular summer vacation destination due to it's fantastic Victorian architecture and cool mountain climate. 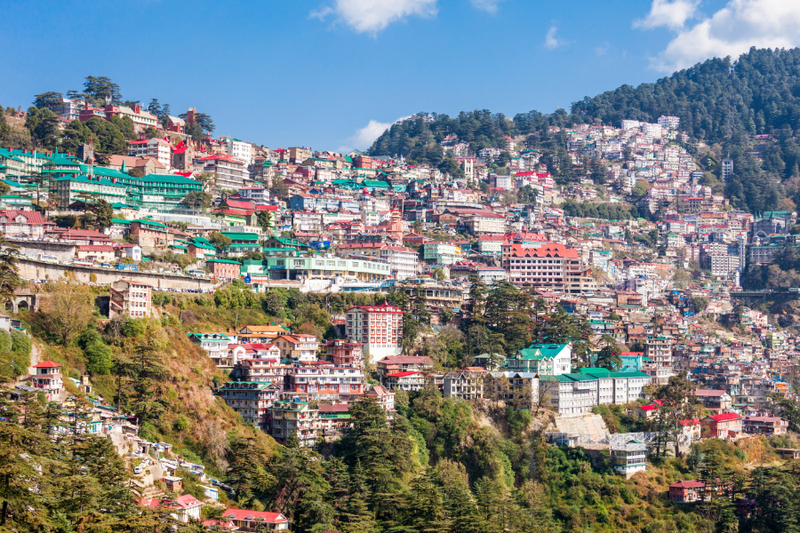 Built as a retreat and designated as the summer capital of the British Raj, traffic is banned from the historic central area which makes for a town of calm with clean mountain air. The famous Shimla Mountain Railway is one of the great railway journeys of the world and runs from Kalka and takes around 3 hours to reach Shimla. There are direct train connections to Kalka from Delhi which take around 7 hours. Now a Unesco World Heritage site, the view from the railway are stunning as it climbs to the hill station through 103 tunnels. Famous the world over for the tea that shares its name, Darjeeling is 2000 metres above sea level in the foothills of the Himalayas. 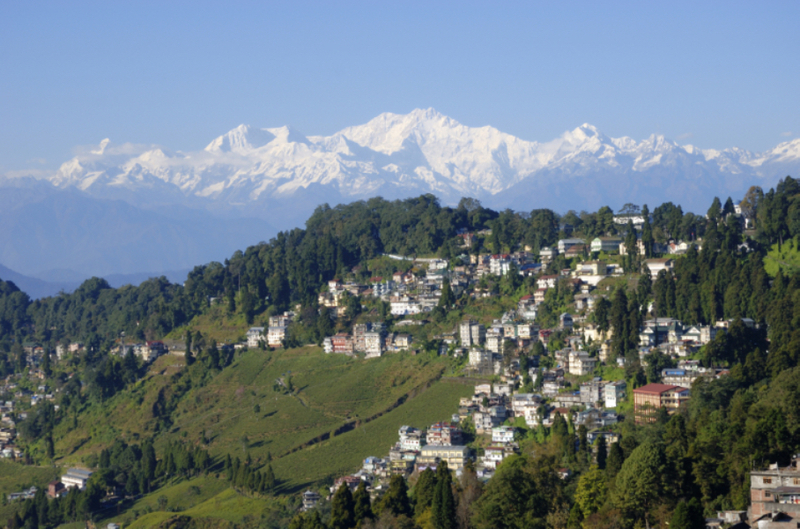 Darjeeling was the summer resort of the elite of the British Raj, the city is steeped in the history of that period. It's also a wonderful way to see the traditional tea plantations and escape from the heat of the plains. THE place to stay is the Elgin. Built in 1887 for the Maharaja of Cooch Behar this beautiful property is in the heart of the town - click here for details. Darjeeling can be reached by the narrow gauge Darjeeling Himalayan Railway, known as the Toy Train which departs from New Jalpaiguri and is a stunning 7 hour ride.